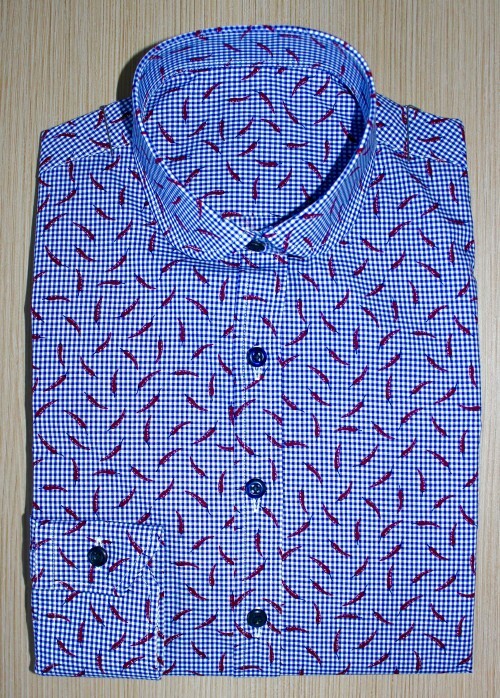 Lizard shirt, 100% Egyptian cotton, Italian collar, mix wrists. Traditional artisanal methods (handmade pattern and cut). From 199 euros VAT included. 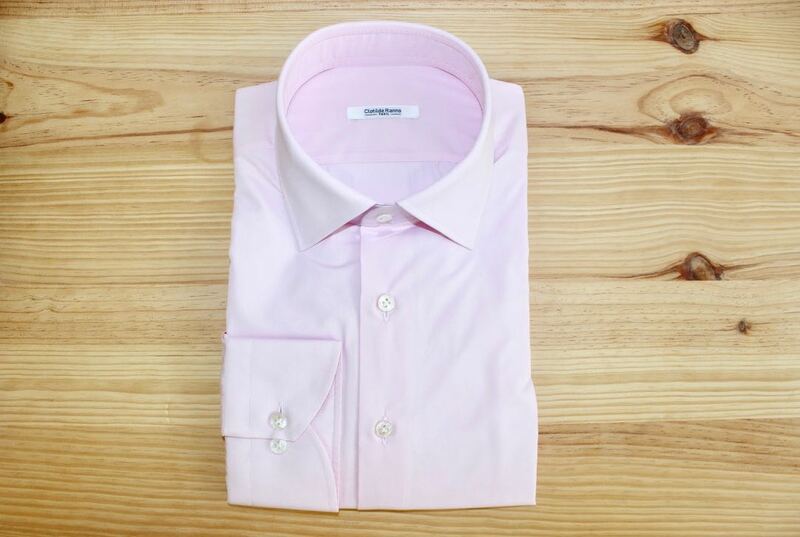 Pink men shirt, 100% Egyptian cotton, oxford fabric double twisted yarn, Italian collar, boat wrists. Traditionally made, Thomas Mason fabric. From 199 euros VAT included. Women shirt, very trendy, pepper print, 100% Egyptian cotton, simple yarn, round collar, simple wrists, straight cut. Thomas Mason fabric, traditionally made. From 199 euros VAT included. 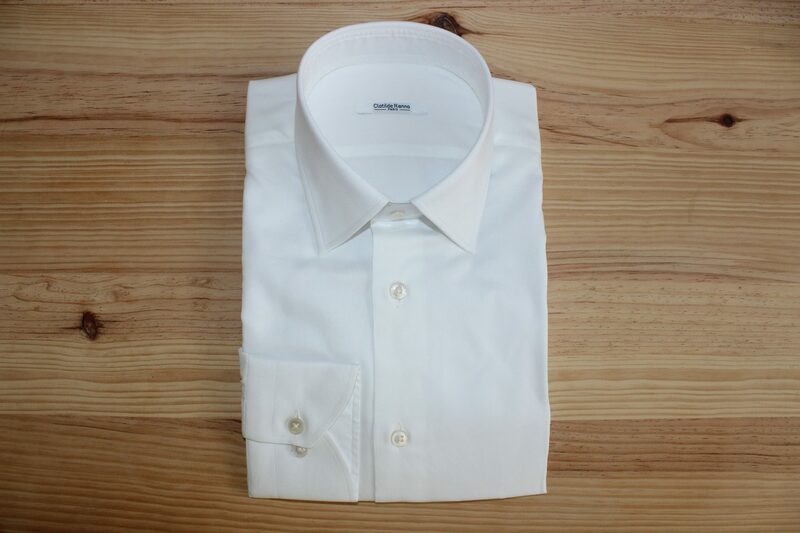 White shirt for women, Egyptian cotton, double twisted yarn, classic collar, boat wrists, straight cut. Traditionally made of a Thomas Mason fabric. From 199 euros VAT included. 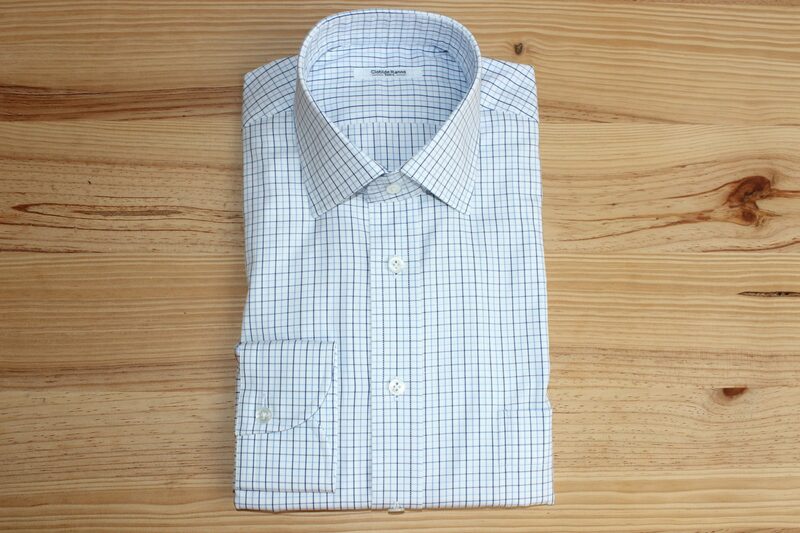 Checked shirt, 100% Egyptian cotton, classic collar, crescendo wrists, straight cut. 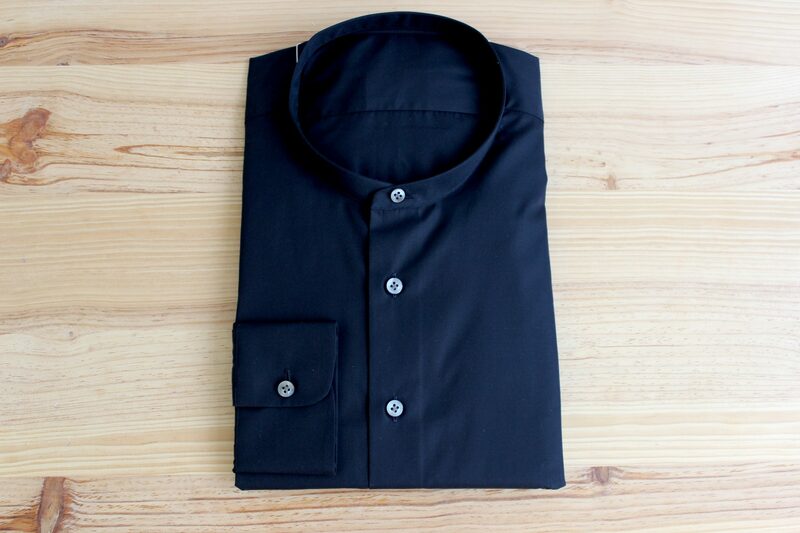 Traditionally made from one of the most qualitative fabric. From 199 euros VAT included. 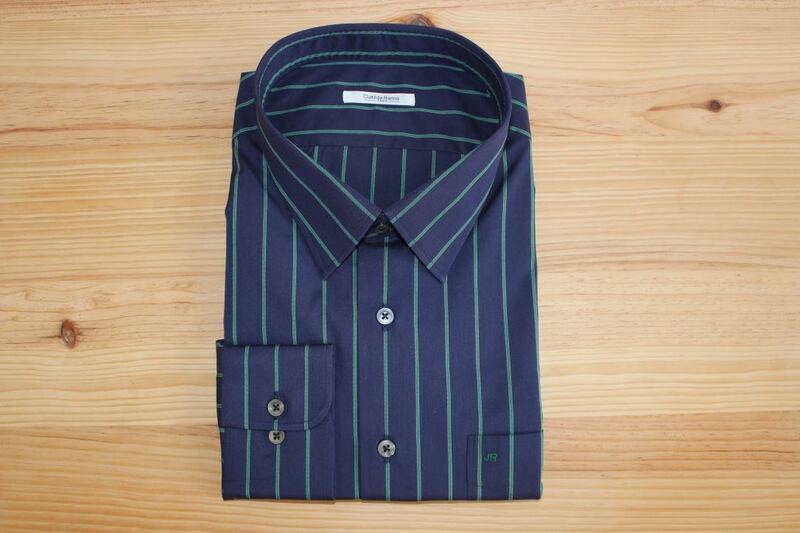 Navy blue shirt with green stripes in Egyptian cotton for men, 100% Egyptian cotton, French collar, simple rounded wrists. Traditionally made from a Thomas Mason fabric. From 199 euros VAT included. 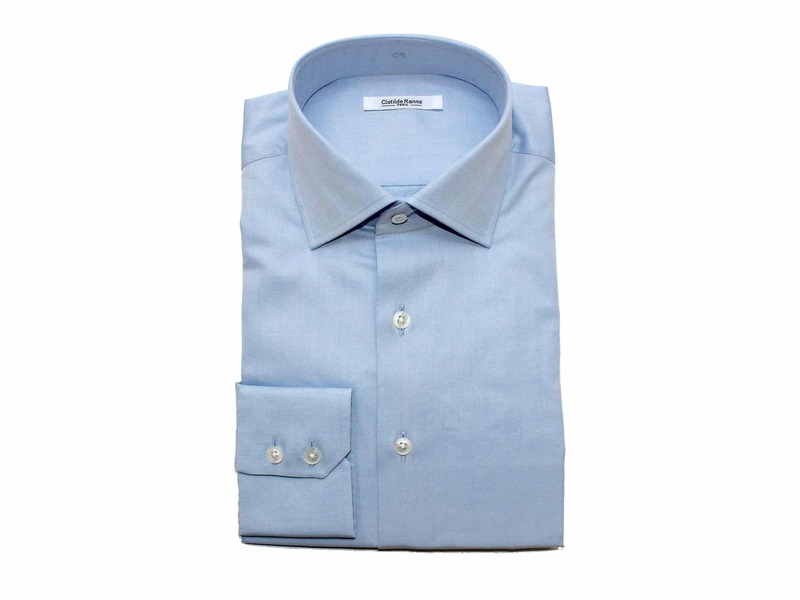 Deep blue shirt for men, 100% Egyptian cotton, small Mao collar, crescendo wrists. Traditionally made from a Thomas Mason fabric. From 199 euros VAT included. 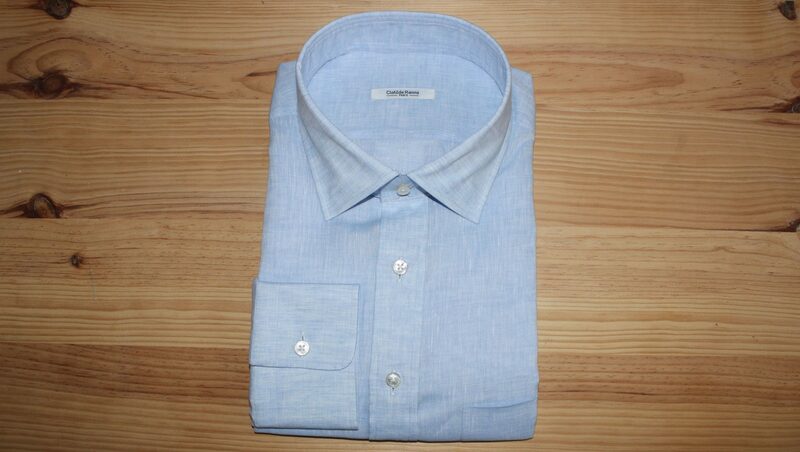 Blue shirt, 100% Egyptian cotton, double twisted yarns, small Italian collar, simple wrists. Traditionally made from a Thomas Mason fabric. From 199 euros. 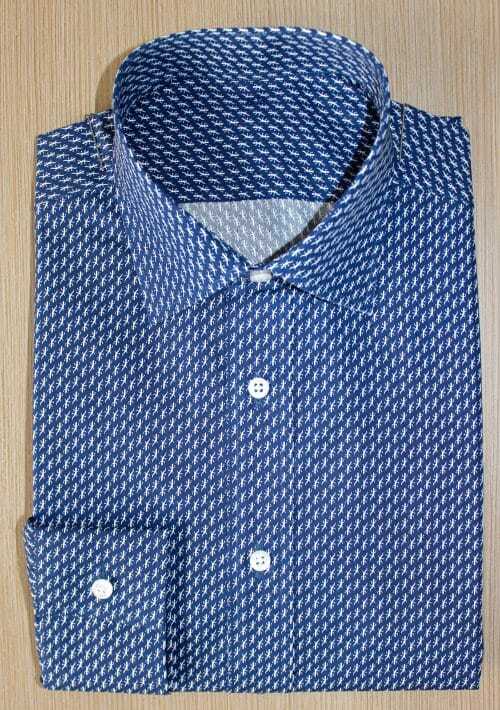 Blue plain shirt for men, 100% Egyptian cotton, double twisted yarn, Italian collar, simple wrists. Traditional artisanal methods (handmade pattern and cut). 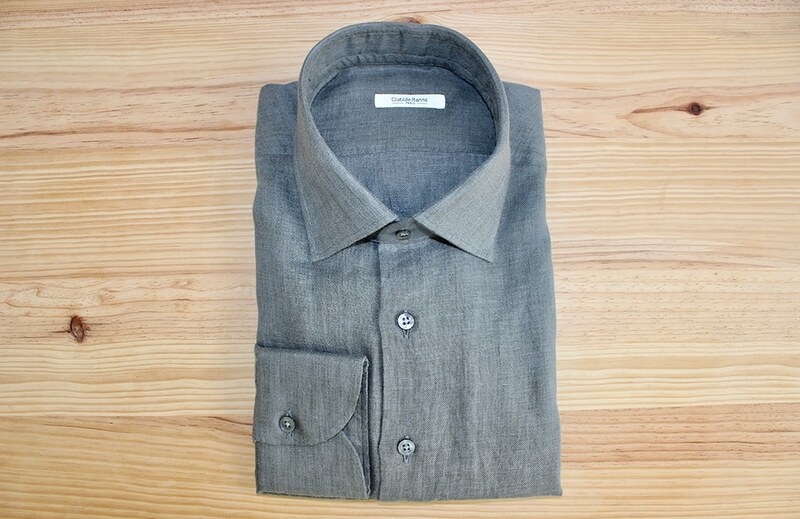 Grey bespoke shirt for men, 100% Egyptian cotton, double twisted yarn, Italian collar, simple wrists. Traditional artisanal methods (handmade pattern and cut), Thomas Mason fabric.